It is perhaps hard to believe that the Apple iPhone has been around for five years. Announced in January 2007 and then shipping in the US during June of that year, the iPhone is one of the most iconic and influential mobile phones ever made. Apple's involvement in the mobile phone market had been rumoured for years, although Apple largely managed to keep the specifications of the iPhone as a closely guarded secret before launch. But this wasn't Apple's first attempt to enter this particular market, back in 2005 Apple and Motorola co-operated on the short lived and pretty much universally derided Motorola ROKR. After its announcement, US customers had to wait a full six months for the iPhone to become available - these days there are only weeks or days between Apple's launch and the devices going on sale. European customers had to wait ten months or more.. and back in those days, Apple's exclusivity deals with carriers meant that the device was restricted to just one carrier per country. In Europe at least, the iPhone wasn't a huge sales success because not only would most customers have to swap carriers, but it was expensive as well. And then there were the other shortcomings - the iPhone didn't support 3G data, it didn't come with GPS, it couldn't capture video clips and you couldn't remove the battery to replace it, all things that you could do on the rival Nokia N95. There were also very few applications available for the iPhone. The AppStore didn't launch until mid-2008, and until then it was difficult and clunky for users to get hold of those few apps that were available. Of course, the AppStore changed everything and since its launch has clocked up an incredible 25 billion downloads. Despite what Apple's lawyers might have you believe, touchscreen smartphones had been around for years by the time the Apple came to the game. For example, the Sony Ericsson P990i was a pretty capable device that came to market in 2006. And although the iPhone did set the pattern for those black slabby devices that we see all over the place, the LG PRADA was announced at almost the same time as the iPhone but came to market months before Apple did. So how exactly did the Apple iPhone influence what came afterwards? Well, for a start smartphones started to look much sleeker and better designed.. and it showed that people were prepared to pay for more for a premium product such as this. 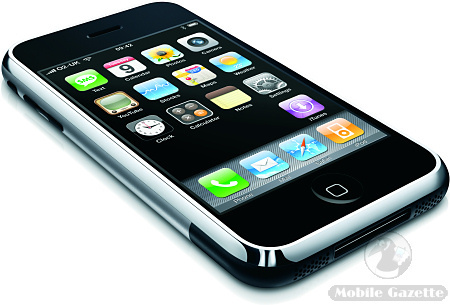 The iPhone also popularised the capacitive touchscreen display (used with a finger) over the older resistive type (used with a plastic or metal stylus). It didn't seem like a big deal at the time, but if you try going back to a device with a resistive display these days (perhaps an old smartphone or satnav) then you really notice the difference. The capacitive display also allowed for a completely different type of user interface. Because they are so sensitive, it is possible to lightly brush the screen to “flick scroll”, or you can use two fingers to “pinch zoom” and you can easily drag or move objects. 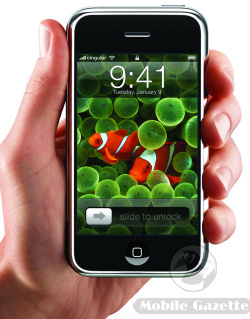 The iPhone's user interface was designed to support that, rather than older smartphones that were still trying to be scaled-down desktop operating systems. For example, before the iPhone you used to use desktop-style scroll bars if you wanted to move up and down through a long document.. something that seems quaintly old-fashioned today. 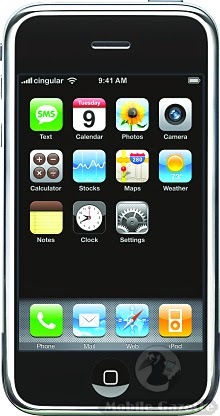 But it is perhaps it is the iPhone's successor, the iPhone 3G which was when the product started to become really useful. The second-generation iPhone added 3.5G support and GPS, and along with it came the AppStore which opened up a mass of applications to users. By the time the iPhone 3G was launched, Apple could be reasonably assured that they would have a success on their hands given the good reception that the original iPhone had.